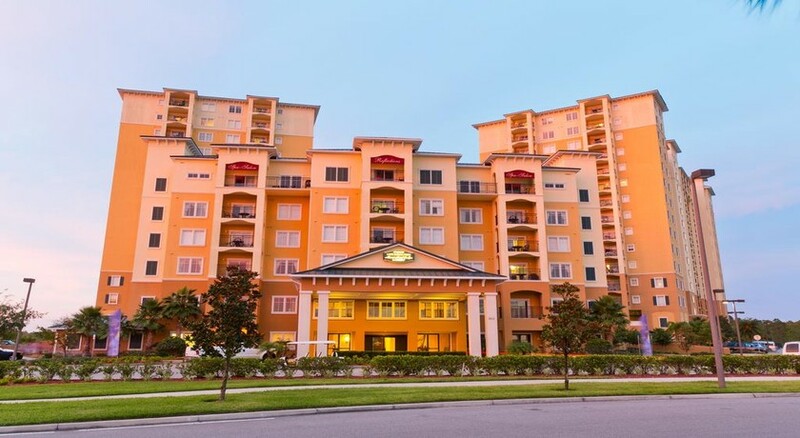 Located just a few minutes from some of the biggest attractions in Orlando including Walt Disney World and SeaWorld, the Lake Buena Vista Resort Village & Spa By Sky provides luxury and elegance in a comfortable setting. It offers spa facilities and there is even a pirate ship beside the pool. With a host of modern suites that can sleep between four and nine people, this resort is perfectly situated to enjoy an active holiday in Orlando, Florida. 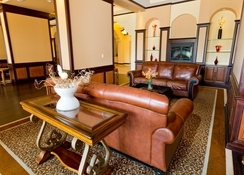 With on-site bars and restaurants and only a short distance to an abundance of eateries in the surrounding area, the Lake Buena Vista Resort Village & Spa By Sky is suited for couples as well as families with children. 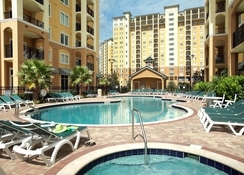 The Lake Buena Vista Resort Village & Spa By Sky is found on Resort Village Drive and is just a short distance away from the many attractions that Orlando has to offer. There is a free shuttle service to Walt Disney World and other major attractions are close by as well which includes SeaWorld (4 miles), Hollywood Studios (4.3 miles), Universal Studios (8.4 miles) and the Orlando International Airport is just 12 miles away as well. 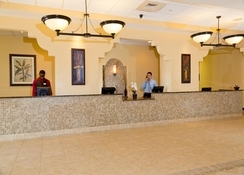 The resort offers an airport shuttle service that starts from $60 one way. You will find One, Two, Three and Four Bedroom Suites at this resort that can sleep between four and nine people. 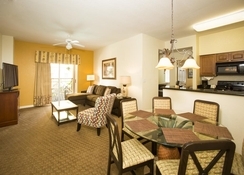 They include a fully equipped kitchen, dining area as well as a Jacuzzi tub and laundry facilities. There is also a private balcony as well as cable TV. The accommodation at the The Lake Buena Vista Resort Village & Spa By Sky is comfortable, modern and provides everything you need to relax after a day exploring the theme parks and various attractions around Orlando. The resort has two on-site restaurants/bars. 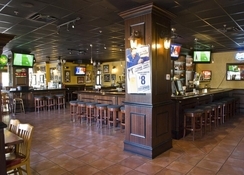 There is a Pizza Hut Express as well as Frankie Farrell’s Irish Pub which serves a range of Irish, British and American cuisine. You will also find a load of local and chain eateries nearby including Planet Hollywood, TGI Fridays, Rainforest Café and Landry’s Seafood. There is also a pool side bar which sells drinks and snacks throughout the day. Indulge yourself in Reflections Spa that provides a wide range of spa treatments at an additional charge from 9am to 8pm Monday – Saturday and 9am – 5pm on Sunday’s. There’s a kids club at the resort ideal for fun-loving little ones, while the Pirates Plunge pool has waterslides and water cannons as well as a pirate ship. 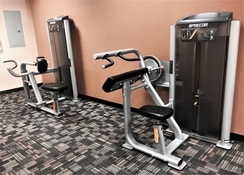 You get access to the 24 hour fitness centre, on-site arcade and the resort is close to all major theme parks.